Guatemala has been suffering from great losses since gas and ash cascaded down the Fuego Volcano on June 3. With 37 volcanoes in the country, the locals have developed their way of living with their most dangerous neighbor, yet nobody can ever get ready for the loss of a beloved. On a street in Escuintla, a city located in south-central Guatemala, tears were shed as coffins crushed weight on the shoulders of young men. These funerals are the Guatemalans’ way of saying goodbye. To them, death is merely a beginning, and souls could only enter the afterworld through rituals like these. As comforting as it may sound, funerals like these have witnessed a non-stop in the past two weeks. 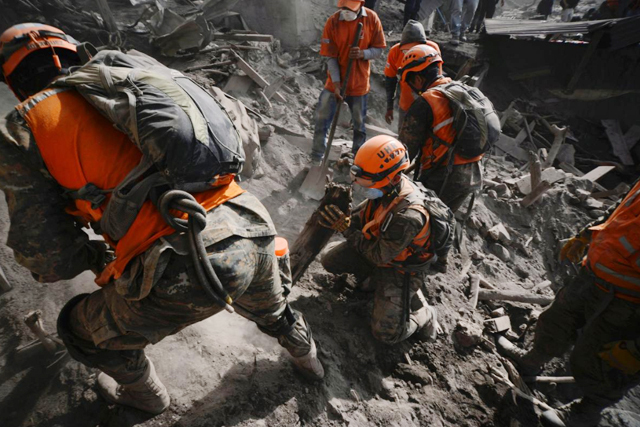 Ninety-five percent of the people who were killed and remains missing in the eruption used to live in Escuintla, the city hit most by the catastrophe. According to officials, this is due to high density of the population living near the volcano. “People living by the south of the Fuego Volcano have been increasing over the past years. Communities which used to have only 20 households now have more than 500,” said David de Leon, spokesman for the Guatemala National Coordinator for Disaster Reduction (CONRED). Leon also said that actions need to be taken and standards need to be made to bring the population down. Quite different from Hawaii‘s Kilauea Volcano which erupted in May, the Fuego Volcano is a stratovolcano, a type that hoards gas, making any eruption even worse. Eruptions of stratovolcanoes could also bring huge amounts of expanded air with its flow speed at 700 kilometers per hour, faster than water. Anyone trapped inside would face little chance of survival. As painful as it may be, the emotional loss did not come alone. Economic loss is also huge. “We are still counting up specific numbers, but it is safe to say that it would take really long for our country to recover from such a catastrophe psychologically since we have high poverty rate and a large malnutrition crowd,” said Carlos Vidal, vice minister of Social Development of Guatemala. Tragedy for families in Guatemala as they bury their dead on Thursday (June 07) after this week’s eruptions from the mighty Fuego volcano. In the rural community of Alotenango locals have been hard hit. For many here there was not enough time to evacuate after a blanket of hot ash and smoke covered large parts of the region. The toll of dead from the series of eruptions that began on Sunday (June 3) has been gradually rising and currently stands at at 109, according to the country’s Institute of Forensic Sciences. Authorities report that 190 people are still missing. Guatemala’s national disaster agency says so far, the eruption has affected the lives of 1.7 million people and 12,000 have been evacuated. Those in shelters are unsure as to what awaits them when they return home. 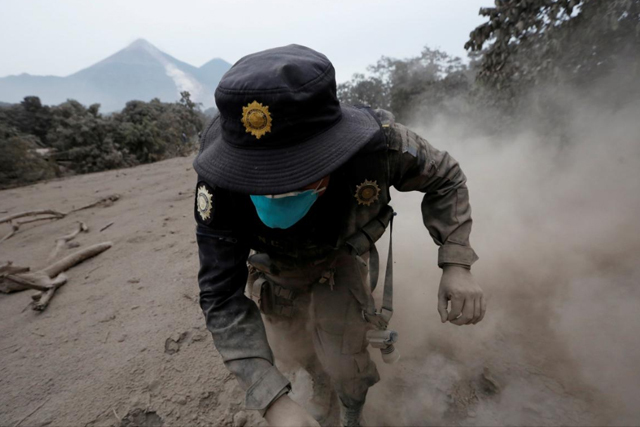 The death toll from the eruption of Guatemala‘s Fuego volcano rose to 99 on Wednesday amid rescuers’ continued efforts to save the victims, according to Guatemala‘s National Forensic Sciences Institute. About 200 people are still missing after the 3,763-meter volcano erupted on Sunday, affecting over 1.7 million people in nearby villages. “We are waiting for further instructions for the rescue operation. We will adjust our search and rescue methods after the golden 72 hour period,” said Federico Turcio, a rescuer. 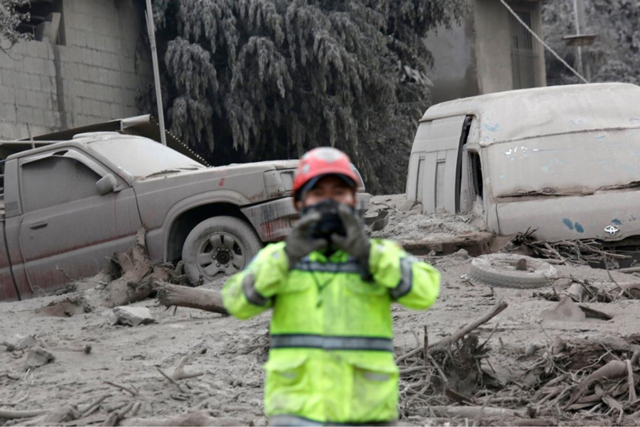 The hot lava and volcanic ash destroyed a number of villages in suburban Guatemala City and severely impacted the electrical grids of La Aurora International Airport which resumed operation on Monday. On Tuesday, Fuego volcano erupted again, unleashing a new flow of dangerous volcanic material and forcing thousands of rescuers to suspend their search for victims. “This volcano has long been active. The recent powerful eruption has ruined several villages nearby. And it is now still weakly erupting,” said Juan Jose Aldana, a firefighter. Volcanologists said for Fuego volcano, one of the country’s most active volcanoes dating back to 1542, Sunday’s eruption was the most violent since 1974. 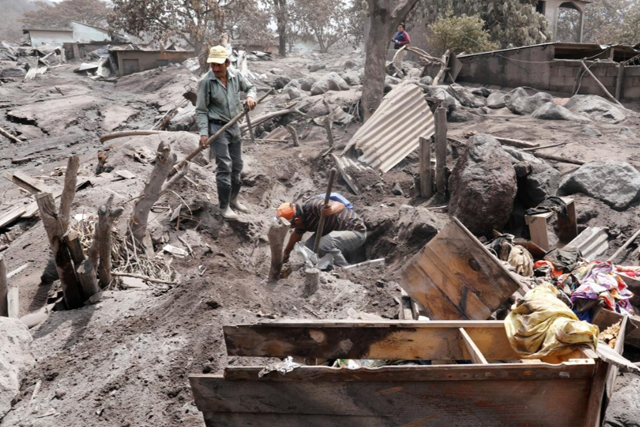 After surviving the eruption of Guatemala’s Fuego volcano, husband and wife Amilcar Ajacabon and Miriam Juarez, say they don’t want to return to their home in San Miguel de Lotes which was damaged in Sunday’s (June 2) explosion. A thick layer of still smoldering ash and volcanic rock blanketed the tiny hamlet with only the roofs of some homes sticking out. On Wednesday (June 6), the couple said they only survived because they ran for their lives when the Volcan de Fuego or “Volcano of Fire,” roared to life on Sunday. “Everyone ran out yelling ‘let’s go, let’s go! It’s coming strong’ and yes, the lava was coming behind us. And thank God it stopped and that’s why we were able to get to Escuintla alive,” Juarez said. After making it to safety in Escuintla, the couple learned five members of their family did not get out alive. Ajacabon got permission from authorities to return to their home in order to gather some belongings, but he said the town is a cemetery and he plans to live somewhere else with his surviving family as he fears another disaster here. Meanwhile, rescuers scoured the lava and ash ravaged landscape for a third straight day in search of survivors and victims of the eruption. An estimated 85 people are dead and some 200 others remain missing.